Pallavi Ashok Ghadage, Niranjan Yethdaka, Narendra Trivedi. BACKGROUND: Memory is the higher mental process in which information is encoded, stored and retrieved. It has a prominent role in the perception of knowledge. Scattered references about the concept of Smriti is found in the classical texts of Ayurveda. Smriti (Memory) is more related with Buddhi (Intellect) and Mana (Mind). AIM: The present review aims at analysing the concept of Smriti in various aspects as per the classics of Ayurveda.MATERIALS & METHODS:Information from Ayurveda texts and review articles from NIIMH, PubMed, and Google scholar was used for the completion of the study. The keyword used in search strategy was Smriti, smRuti. OBSERVATIONS: Total ninety references at various contexts were found in Samhita. The retrieved data were stratified into definition, philosophical, physiological, assessment, pathological and treatment aspect of Smriti. CONCLUSION: The concept of Smriti ranges from philosophical to physical and psychological levels. Memory is said to be the result of collective action of Atma (soul), Mana, Buddhi and Medha (Retentive Faculty of memory). Though various Acharya have explained Dhi (Understanding), Dhriti (Fortitude), and Smriti separately but these are to be considered as the inseparable parts of the Buddhi to perform its function. Pallavi Ashok Ghadage, Niranjan Yethdaka, Narendra Trivedi. A Review on Smriti (Memory) and its Affiliates in Ayurveda. J. res. tradit. med. 2017; 3(5): 143-150. Pallavi Ashok Ghadage, Niranjan Yethdaka, Narendra Trivedi. A Review on Smriti (Memory) and its Affiliates in Ayurveda. http://www.tmjournal.org/?mno=290369 [Access: April 20, 2019]. Pallavi Ashok Ghadage, Niranjan Yethdaka, Narendra Trivedi. A Review on Smriti (Memory) and its Affiliates in Ayurveda. J. res. tradit. med. (2017), [cited April 20, 2019]; 3(5): 143-150. Pallavi Ashok Ghadage, Niranjan Yethdaka, Narendra Trivedi (2017) A Review on Smriti (Memory) and its Affiliates in Ayurveda. J. res. tradit. med, 3 (5), 143-150. Pallavi Ashok Ghadage, Niranjan Yethdaka, Narendra Trivedi. 2017. A Review on Smriti (Memory) and its Affiliates in Ayurveda. JOURNAL OF RESEARCH IN TRADITIONAL MEDICINE, 3 (5), 143-150. Pallavi Ashok Ghadage, Niranjan Yethdaka, Narendra Trivedi. "A Review on Smriti (Memory) and its Affiliates in Ayurveda." JOURNAL OF RESEARCH IN TRADITIONAL MEDICINE 3 (2017), 143-150. Pallavi Ashok Ghadage, Niranjan Yethdaka, Narendra Trivedi. "A Review on Smriti (Memory) and its Affiliates in Ayurveda." JOURNAL OF RESEARCH IN TRADITIONAL MEDICINE 3.5 (2017), 143-150. Print. 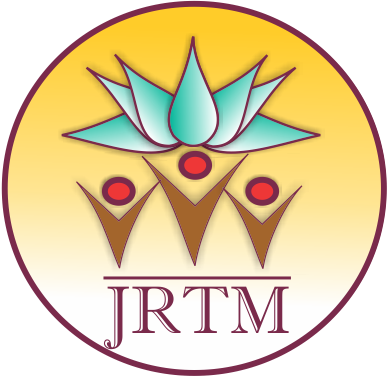 Pallavi Ashok Ghadage, Niranjan Yethdaka, Narendra Trivedi (2017) A Review on Smriti (Memory) and its Affiliates in Ayurveda. JOURNAL OF RESEARCH IN TRADITIONAL MEDICINE, 3 (5), 143-150. J. res. tradit. med. Year: 2017, Volume: 3, Issue: 5: 143-150.